13 STRUMENTI DI MARKETING GRATUITI E UTILIDopo il successone del video sui 13 siti utili, avete iniziato a chiedermi di fare altri video sui siti web utili, ma specifici in alcune categorie. (Se non avete visto il video precedente, lo trovate qui: https://www.youtube.com/watch?v=xO723f0c78o) Ecco quindi un video dedicato solo agli strumenti di markering! 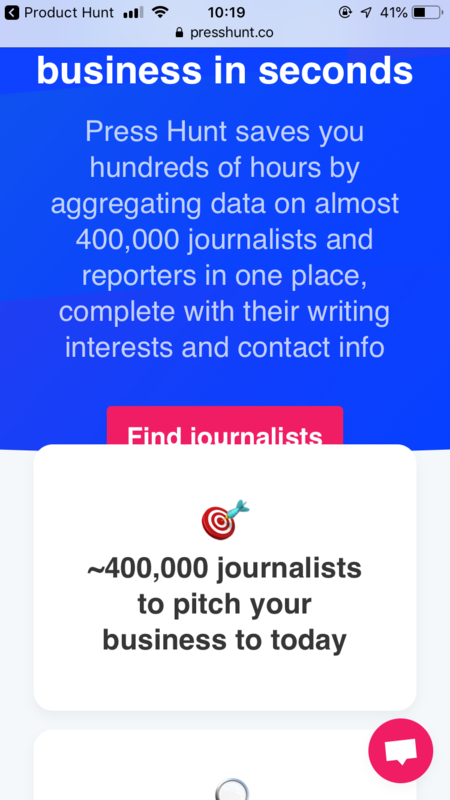 Tool Of The Week: PressHunt ReviewLooking for a searchable database of journalists? Check out our PressHunt Review (https://presshunt.co/). Want to find out more free tools to help you run your business efficiently? Subscribe to our channel for more weekly Bitrix24 Tool Of The Week reviews. Would you recommend Press Hunt 2.0 to a friend? Inevitable with a big data set, but you still have to do a little research to make sure you are contacting relevant people on your own. I've launched a number of projects that I look for press and often the most time consuming part is finding and researching relevant journalists. I was extremely please with how easy Press Hunt is to use. I had a whole list of journalists that I wanted to contact but was unable to find accurate emails and Press Hunt did the job. I would highly recommend it. Lukas Bentel has used this product for one month. We've been working really hard on this the past 3 months. This is the most sophisticated software product we built this year, and we're really excited to share it with you! Love the idea of this, but unfortunately I can’t sign up to trial with iOS 12 Safari on my 6S because the button is clipped off! Besides fixing that perhaps it should also show the trial button on the subscribe page? @chrisvxd Just pushed a temporary fix! @cameronrohani Thanks for commenting! While most emails are open if you look hard enough, finding the right emails/journalists for your project is tough, hence the categorization of them with tags. Lists like TC’s are helpful but if that’s all you’re pitching to you’re unlikely to get covered! How did you collect the information of journalists etc.? Have you got permission from them?